The true set-up and operational costs for the incubator would depend on the scale of the case study and the local salary rates in the area chosen. This decision would be made by participating crypto projects if they chose to pursue this proposal. The purpose of this estimate is to give everyone guidance on the true cost of exchange setup and operation. This estimate incorporates recommended exchange equipment for a staff of four. However, it must be stressed that some items could be procured locally and at a cheaper cost. Stop locals gaming the system and double claiming free cryptocurrency. Generation of a unique identifier for each case study participant. These fingerprints can also be paired with crypto wallets, so that academics can better study the transactions being executed in the area. Identify exchange users before transactions are executed. Iris scanning technology is an option. However, fingerprint technology is more cost effective. This is particularly true when it comes to incubator smart locks. For ease of case study execution, both exchange identifiers and incubator identifiers should be consistent. X2 eNBioScan-F FBI PIV Certified Dual Fingerprint Scanner @$470 per unit = $940 total. Doubling up on fingerprint scanners means there is a backup device and exchange customers can be served faster. Humidity of case study location must be less than RF 90% for the device to work reliably. Operation temperatures of -20 - 60 ℃ mean that the product can be used in most locations in the world. Dye Packs: The exchange will be holding cash inventory. Provided there is no legal obstacle in the case study location, then this security measure could be deployed. In some jurisdictions exploding dye packs cannot be used by private citizens and are classifed as boobytraps. 75% of all US bank still use exploding dye packs and it’s been shown to be an extremely effective deterrent. Not only do dye packs mark the thief in permanent dye, the money stolen is also easily identifiable as stolen contraband and should be significantly harder to use in the local economy. Dye packs can also be integrated with additional non lethal anti theft solutions like tear gas. SecurityPac - made by ICI Security Systems and used in 75% of US banks. The Dyetonator - An exploding dye pack made to act as a deterrent for handbag thieves. The product is not available for sale right now, however, the device dimensions make it suitable for being concealed in a stack of local currency (as you would conceal a SecurityPac). The Dyetonator detonates once a code is sent via mobile. Cost: Unknown - depends on case study country. Remote Viewing Webcams: The exchange area needs to surveillance both to monitor and protect those in the exchange. It is advised that any webcam has the functionality to enable off-site surveillance. x4 MAISI Upgraded True HD 1MP IP Camera at $45 per unit = $180 total. Cash Draw / Security: The cash on site should be secured and also accessible to local exchange employees for dispensing. X2 Popamazing Cash Drawer Heavy Duty POS Cash Register Drawer With 5 Bills & 5 Coins Removable Cash Tray Till = £33.99 / $44.68 per unit = $89.36 total. Panic buttons: The best panic button will depend on the precise case study location and the reliability of the police. An assessment should be made on whether to procure and install panic buttons that notify the local police that a robbery is currently in progress. The presence of such devices should act as another passive deterrent to theft. Smart locks: The exchange cashier working space should only be accessible through a door secured by the Ultraloq UL3 BT. To act as a record of who was in the exchange area if a theft occurred. This could be supplemented with webcam footage for evidence. It acts as a theft deterrent. Access and exit data will be used to determine the motivation of exchange employees. Low motivation levels and be identified by exchange employees clocking low amounts of time spent in exchange workspace. The time lock would generate data that maybe useful for academic study. Two smart locks would be required for the access door to exchange workspace. 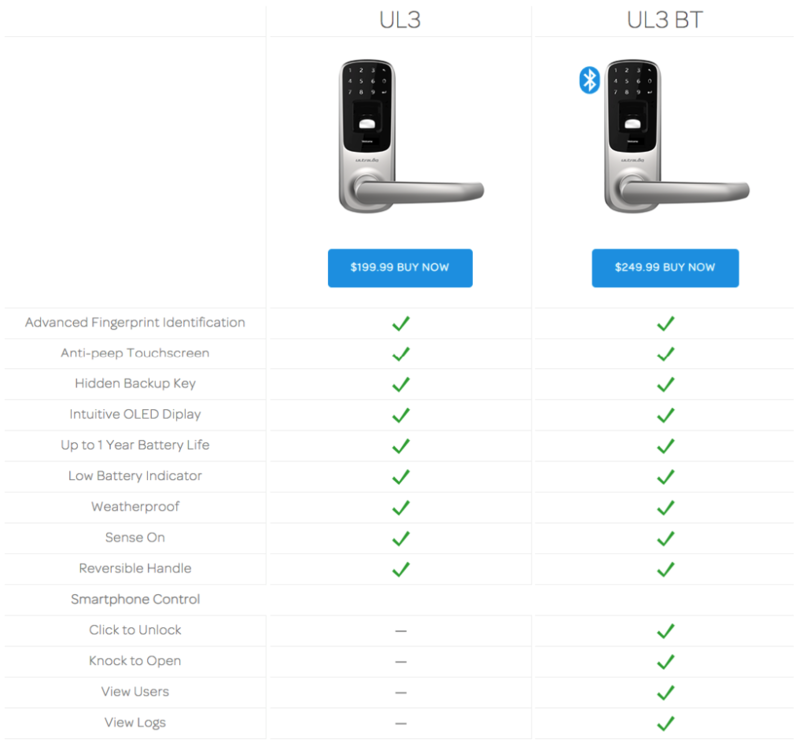 The recommended lock that fulfills all the necessary functions, at a reasonable cost, would be the Ultraloq UL3 BT. Each unit costs $249.99 and runs on 3 AA batteries. This means that security and the generation of exchange cashier entry/exit data could be obtained for $500 total. An enclosed counter for exchange employees to work behind is advised. Perspex dividers will also serve as a level of employee protection. Cost: Depends on the size / scale of the exchange and if a local solution can be sourced. Laptops: Serve two main functions. To connect with the fingerprint scanner and collect data. To manually record transactions processed by the exchange. X2 14.1" Full HD Laptop Computer, Windows 10 with 4GB RAM 64GB Storage, T90+ Model Lapbook Intel 64-bit Quad core USB 3.0, WIFI, Bluetooth Laptop Computer (64 GB) @ £219.97 / $291.91 per unit = $583.82 total. Generic printer / scanner, spare ink cartridges and printer paper. These items can be commonly procured at a reasonable cost of below $200. x4 at $30 per unit = $120 total.